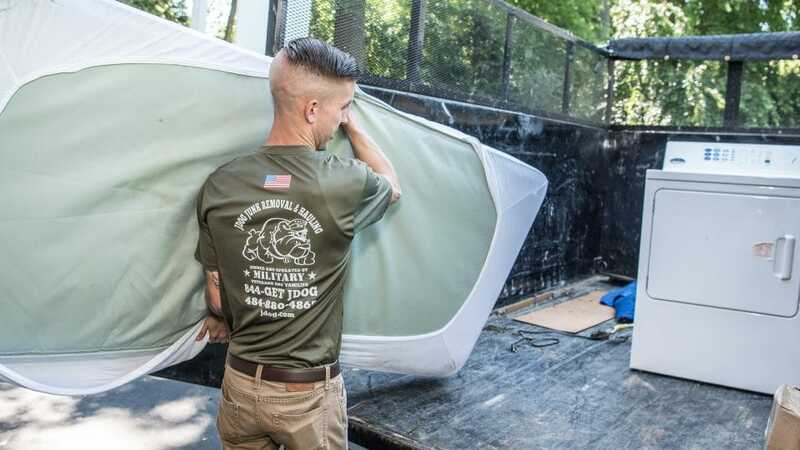 We’re JDog Junk Removal and Hauling, the trusted team of Veterans, Veteran and Military family members who are eager to serve you and haul away your junk in San Antonio, Texas. Everything might be bigger in our grande state, but we take on projects of all sizes, includes mattress hauling, porch demolitions, and kitchen remodeling. In addition to translating the Military’s values of Respect, Integrity, and Trust to how we serve you, we also serve the environment by recycling and donating 60% to 80% of the items we haul. JDog Junk Removal & Hauling is ready to serve you. Give us a call today at 844-GET-JDOG.